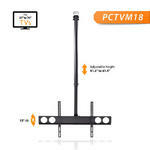 The Pyle PCTVM18 Height Adjustable TV Ceiling Mount was made to safely mount your TV. 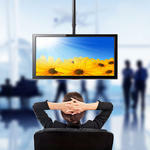 Mount virtually any TV (sized from 37.0'' to 70.0'') onto flat or pitched ceilings. 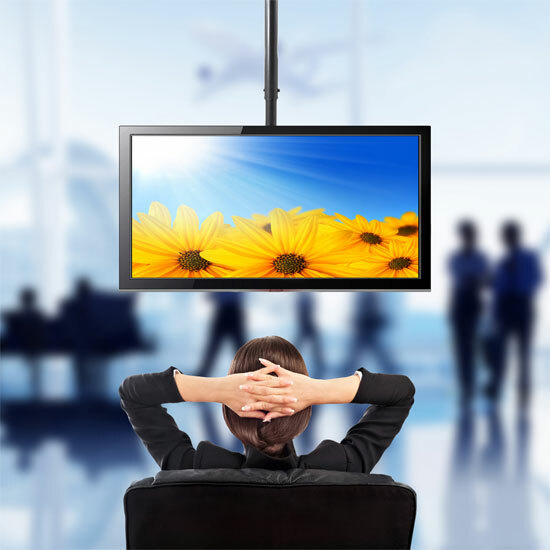 Made to fit VESA universal mount standards for flat panel HDTV, LCD, LED, Plasma and Smart TVs -- from brands including Samsung, JVC, Magnavox, Panasonic, Sharp, Toshiba, Vizio and more. Additional features include tilt adjustable along with reinforced hollow mounting bracket arms that provide internal routing cable management and telescoping height adjustable arm (extends from 41.3'' to 61.3'' inches). 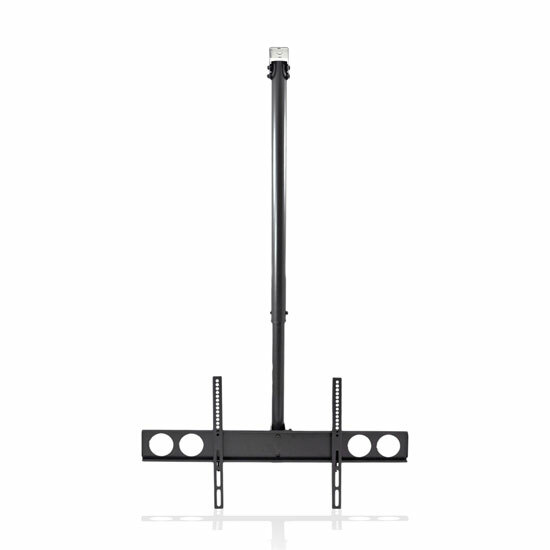 Add versatility to your home theater experience and mount your TV exactly where you want. 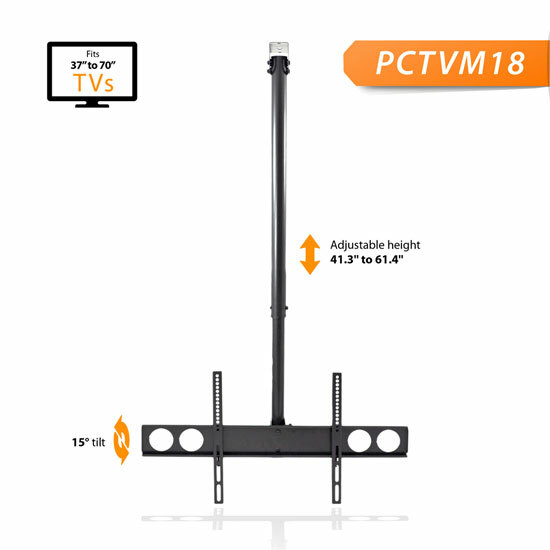 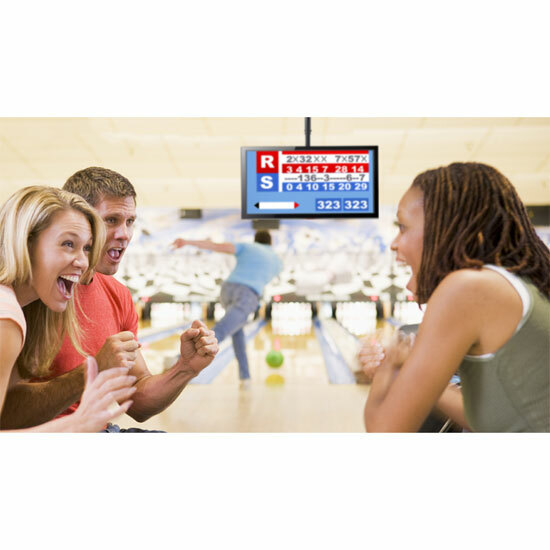 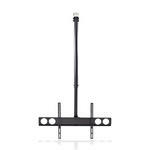 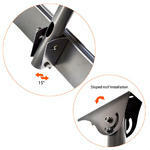 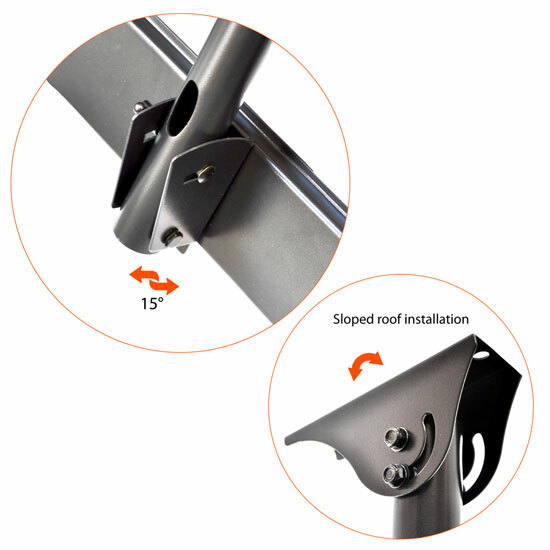 Hang it up safely and reliably with the PCTVM18 Height Adjustable TV Ceiling Mount. 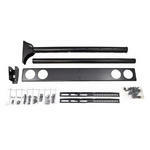 Telescoping Arm Length: 41.3'' to 61.4'' (Adjustable) - Maximum Weight Capacity: 110.0 lbs. 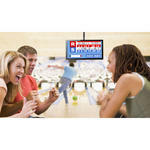 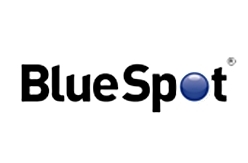 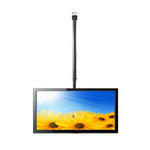 Fits Virtually Any 37.0'' to 70.0'' inch Television | Works with LCD, LED, Smart, 3D, Plasma, Flat Panel TVs, etc. 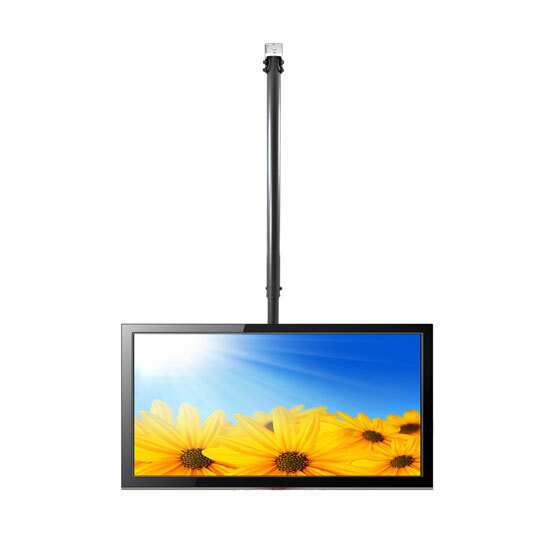 | Universal VESA Mount Compatible | Ability to Mount on Flat or Pitched Ceilings | Telescoping Arm Length: 41.3'' to 61.4'' (Adjustable) | Tilt Adjustable: -15 Degrees | | Internal Cable Routing and Cable Management | Provides Safe, Durable & Reliable TV Mounting | Includes All Necessary Mounting Hardware and Brackets | Maximum Weight Capacity: 110.0 lbs.